Belief in the Virgin Birth, 1984-2008: click here to download. Belief in the Historical Accuracy of Gospel Miracles, 1984-1996: click here to download. Belief in Religious Miracles, 1991-2008: click here to download. Belief in the Resurrection of the Dead, 1990-2000: click here to download. 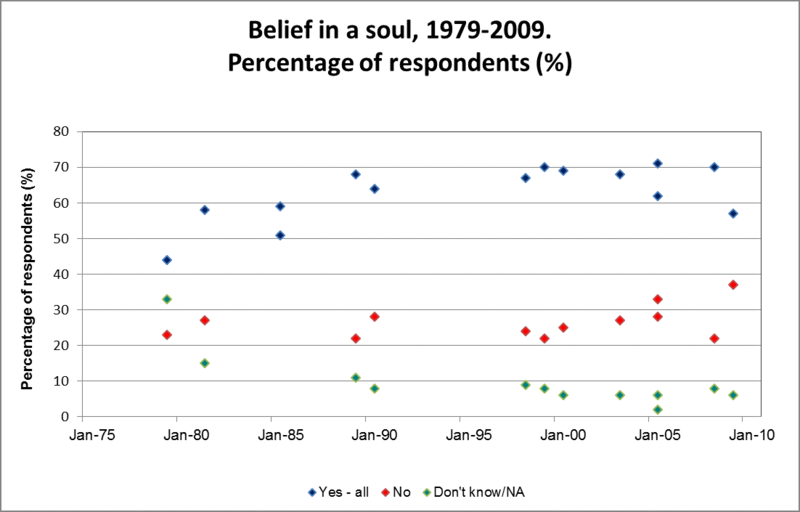 Belief in Sin, 1981-2000: click here to download. 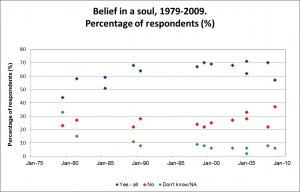 Belief in the Existence of a Soul, 1979-2009: click here to download.